This is the start of a diary of a 15-day trip to Arctic Norway via Oslo from Feb 15 thru March 3, 2017. After a 3/4 day layover in Oslo, we reached Lofoten Islands on Feb 17 morning. After spending a week there, we boarded the Hurtigruten to sail to Tromso. We spent 4 days in the area and from there we took a puddle jumper to Alta mainly to experience the Ice Hotel. I then returned to Seattle via Oslo. Go to my Flickr page Here or Here for exact location where each image was shot. I would like to recognize Mr. Cody Duncan whose e-book was my main guide to plan the Lofoten segment of the trip. You can download the book from his website. Thanks Cody for answering my questions!!! 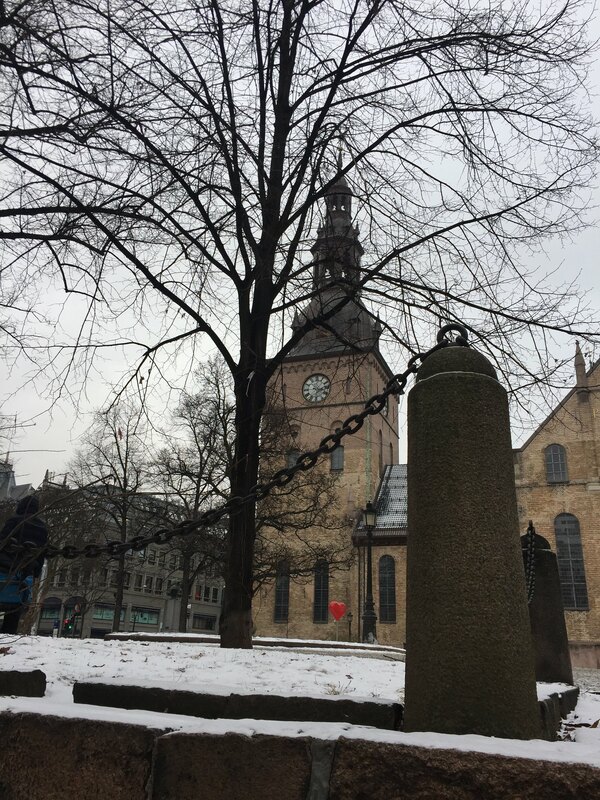 I left Seattle for Oslo, Norway via Reykjavik, Iceland by Icelandair on Feb 15 and reached Oslo at around Noon on the following day. We had made a reservation at the Gardermoen Bed & Breakfast, about 5 miles from the Oslo International Airport in Gardermoen. I called the hotel for shuttle that picked me up at the Departure Level and took me to the hotel. All hotels near the airport charge 70 NOK (about US$8.50) per person for one-way trip between the airport and the hotels. Took a shower and took the bus #855 from the front of the hotel to get back to the airport to catch the 230pm NSB train to Oslo Sentrum. The bus fare was 55 NOK (about US$6.50). 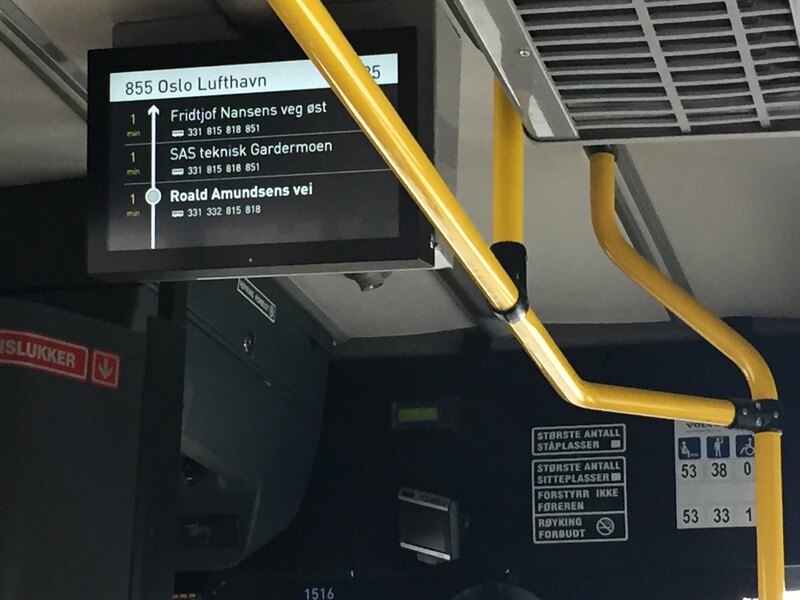 If I purchased the bus ticket at the airport instead of on the bus, I could have saved 20 NOK. Learned a lesson – any time a human being is involved in a transaction in Norway, be prepared to pay more!!! At the front of the bus was a huge video monitor that showed the destination, time of arrivals, next stop, etc. I paid 90 NOK (US$11) for a 1-way ticket to Oslo Sentrum and boarded the L12 NSB train at around 245pm. The ride was smooth and fast and in 30 minutes the train reached Oslo Sentrum. Every passenger car has a similar monitor showing destination, arrival times, etc. 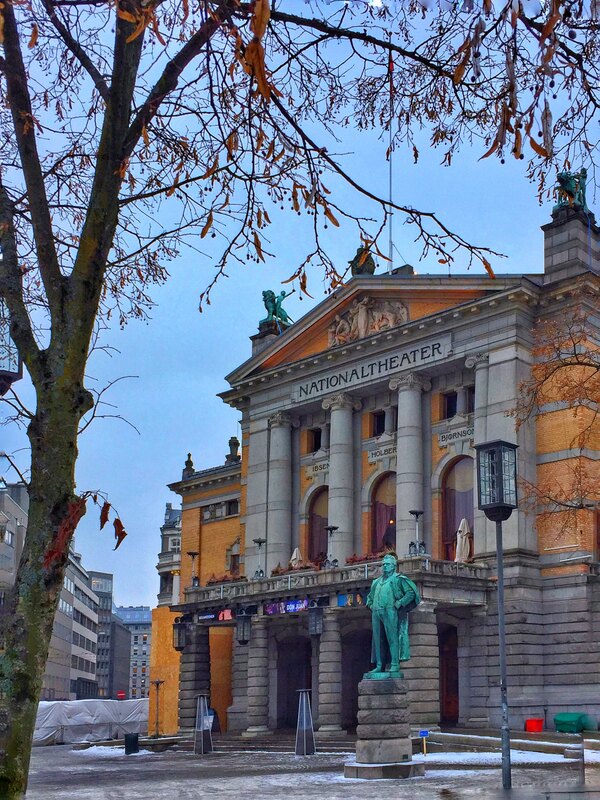 It was windy, cloudy, and cold winter day in Oslo, similar to Seattle but about 15 degrees colder. 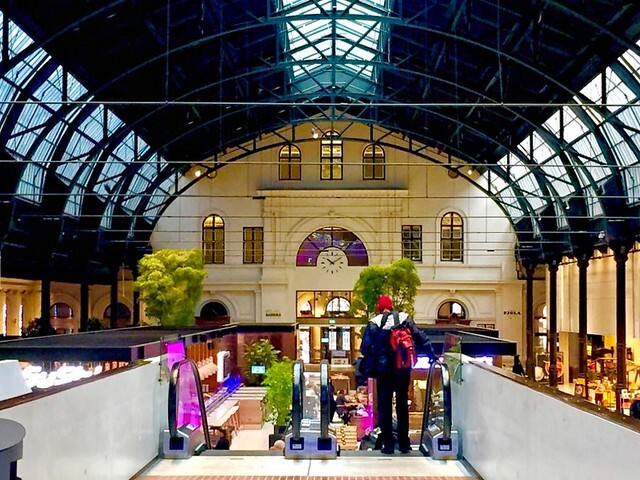 From the Sentrum Station, I then walked along Oslo’s main street, Karl Johans Gate to the City Hall to join my cousins Revathy, Dash and Susheela. The street connects the Oslo Central Train Station and the Royal Palace. 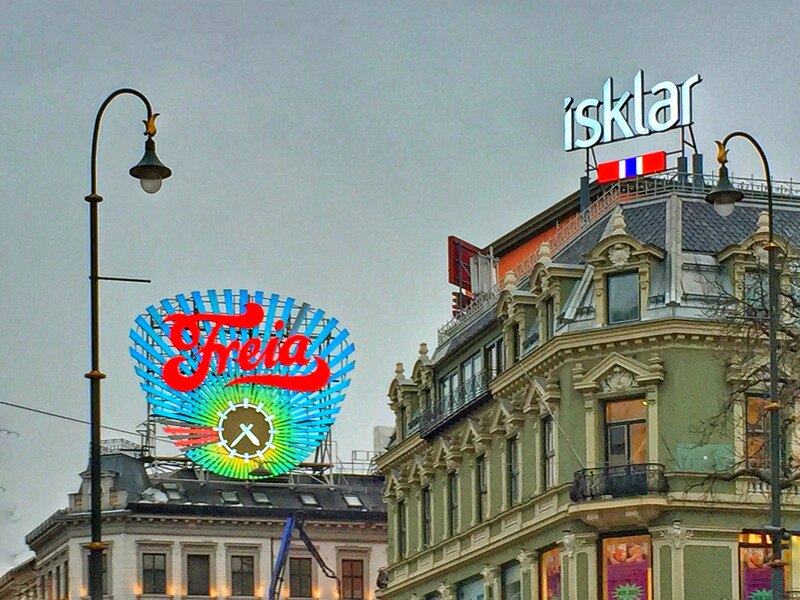 The street also includes other major tourist attractions such as Oslo Cathedral, National Theater, an ice skating rink, and expensive shopping houses. The construction of the City Hall started in 1931, but was paused by the outbreak of World War II, before the official inauguration in 1950. 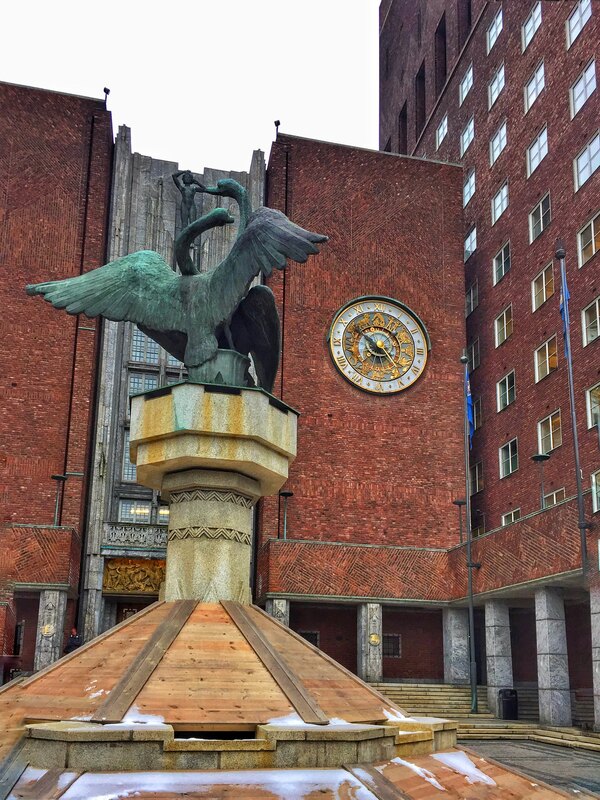 Its characteristic architecture, artworks and the Nobel Peace Prize ceremony, held on 10 December, makes it one of Oslo’s most famous buildings. I joined my cousins and toured the City Hall the interior of which was quite impressive. We got kicked out of the City Hall at 4pm, the closing time. 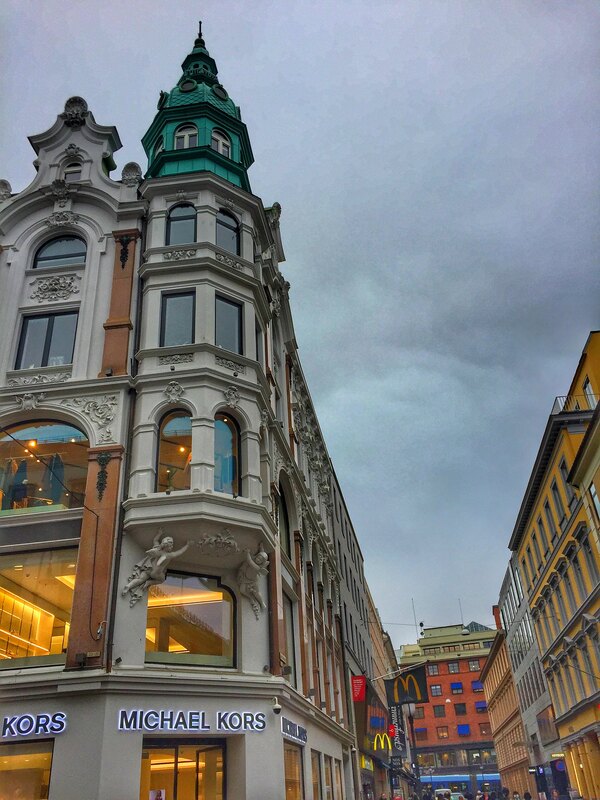 It was getting darker already and we walked along the Karl Johans Gate enjoying the architecture and shooting pictures to Kos Kos, a Middle-eastern restaurant, for an early dinner. I was lazy to lug around my camera gear and shoot all the images shown here using just my iPhone 6. 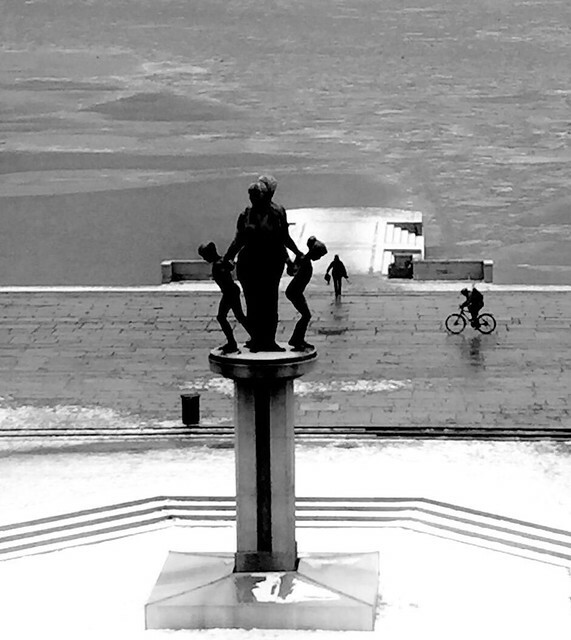 Oslo was the only place in Norway, I was able to take more than 3 images outside in the cold before the iPhone just shut down. Looks like iPhone is a warm blooded device and struggles to shoot below 30 deg F.
Restaurants are about 2-3x more expensive compared to comparable restaurants in the US. As all the 4 of us are vegetarians, we ordered their veggie mezza platter and the food was tasty. On a scale of 0-10, I would give the mezza platter a 6 or 7. The service was excellent. We spent 3+ hours over dinner and the charge came to about 1600 NOK (US$195). After dinner, we walked back to the Train Station, got tickets at an NSB kiosk to get back to the Oslo Airport at Gardermoen. After a 30 min train ride packed with locals getting back home, we reached the airport just after 1030pm. As the hotel shuttle costs 70 NOK per person, we ordered Uber instead that cost us 125 NOK (US$15). Uber cost at that time of the evening was $3/mile which is not bad for Norwegian standards. We hit the sack to get ready to catch a flight to Leknes in Lofoten Islands via Bodo the next morning. I am glad that you had good tim ein Oslo. Now looking forward to read about Lofoten this season.